Seriously, I have a fascination with taking the temperature of Skunk Cabbage. 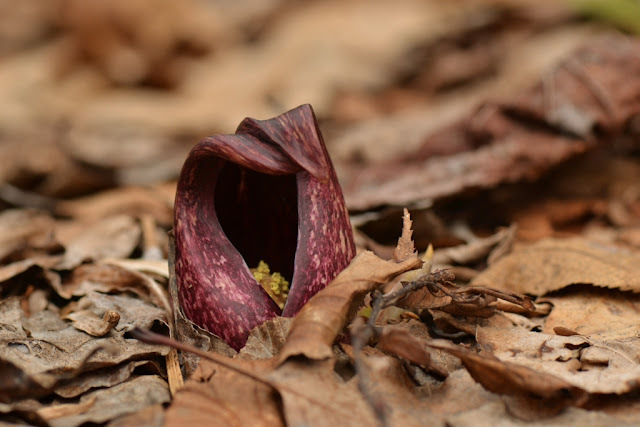 Skunk Cabbage flowers (hidden inside those reddish hoods) were one of the signs of spring that I saw yesterday when I was out rambling. I couldn't pass on the chance to set up some thermometers and compare the air temperature with the temperature inside the Skunk Cabbage hoods. 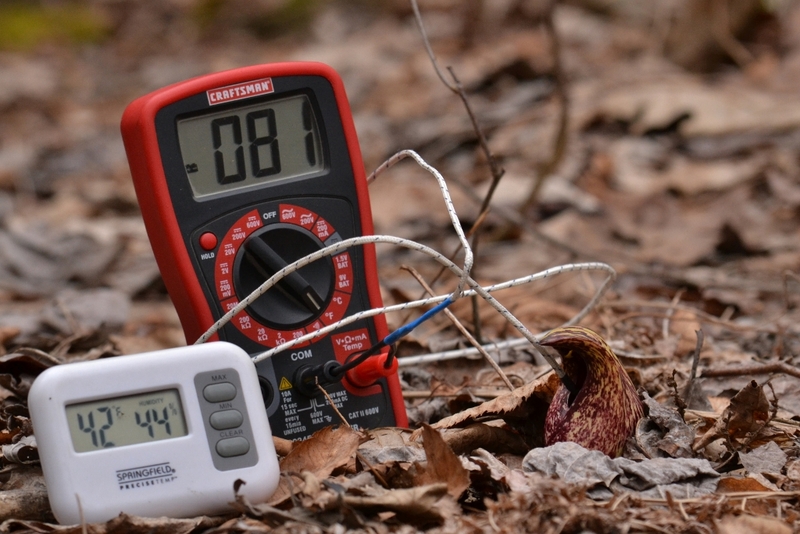 In the photo above, the white thermometer is measuring the ambient air temperature at 42 degrees F. The red meter, measuring with the temperature probe, says 81 degrees inside of the Skunk Cabbage spathe. I took these photos yesterday. Today it snowed all day long. May I remind you that inside those cozy Skunk Cabbage spathes the temperature could be as high as 81 degrees... isn't that a pleasant thought? I went into more detail about Skunk Cabbage and its thermogenic capabilities in a previous post and I continued with another post about Skunk Cabbage and the vortices it uses to waft its foul odors.